Dogs are NOT specialty products. A New Hampshire kennel is claiming to help dispel poor pit bull reputations by breeding a dog to be unnaturally huge and selling his puppies for a lot of cash. 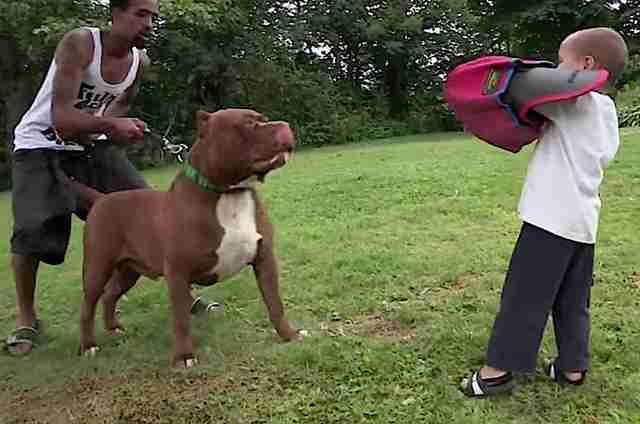 Hulk, the giant dog, is believed by some to be a cross between an American bulldog and a American pit bull terrier. Not even fully grown yet at 22 months, Hulk clocked in at 175 pounds. He serves as a cash cow for Dark Dynasty K9s. Headed by Marlon Grennan, Dark Dynasty K9s breeds "protection dogs" for profit, making headlines because of Hulk's enormous size. 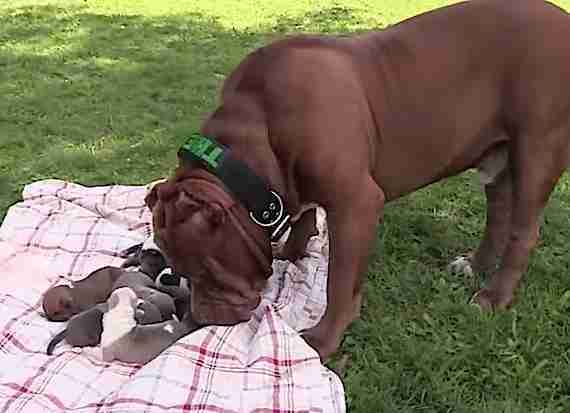 Hulk fathers puppies who will grow into enormous dogs so his owner can rake in the cash. "We produce the best of all the finest bloodlines," DDK9 writes on its website. "The result is a well balanced calm family dog also capable of becoming a top of the line working dog. DDK9's dogs can be trained for any level of protection including for high level security or family and personal protection." "How could you look at that face and be upset?" Grennan says, holding up one puppy to the camera in a recent video on the dogs. Well, for one thing, the United Kennel Club points out serious issues withAmerican pit bull terriers bred to be this large: "Excessively large or overly massive dogs and dogs with a height and/or weight so far from what is desired as to compromise health, structure, movement and physical ability." Another reason to be upset: Even though Grennan claims his giant "pit bulls" dispel negative connotations about pit bulls, Grennan still puts on a "training suit" and gives the dogs the aggression training sessions that make them such valuable commodities. Even Jordon, the Grennans' 3-year-old child, is being trained to train dogs. "He's actually pretty gentle when he bites him in the sleeve," Grennan says of Hulk's training sessions with his son. "He almost doesn't want to." So why is Hulk still given aggression training, if Dark Dynasty is touting how gentle these dogs are? "The litter of puppies, if they're all trained as protection dogs, could be worth an excess of half a million dollars," said Grennan. With so many deserving pit bulls waiting in shelters across the country, putting such a high price tag on breeding them is not a way to help turn their plight around.